Ahh, it’s summer. We’ve been hitting the pool, pretending to grill out in our apartment, and heading out to parties and picnics galore. It’s all been so much fun, except for the pesky fact that about fourteen minutes before we’re set to head out the door it hits me: We should probably bring something—-other people are going to want to eat—and I can barely cook. 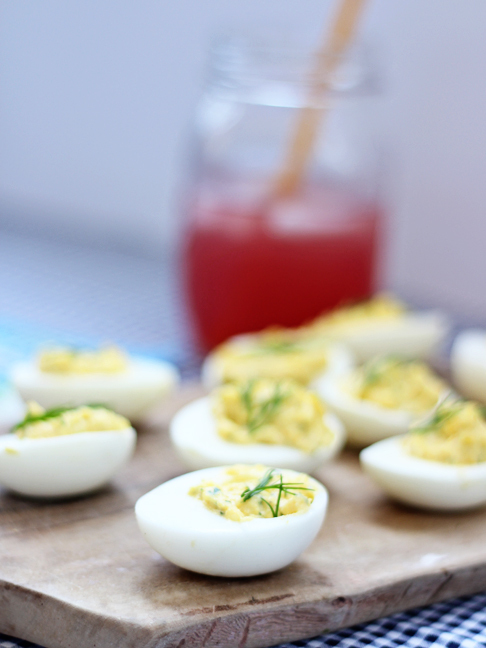 Now, this would normally be a problem, but deviled eggs are back in fashion (thank you Cooking Gods). They’re easy to make and take only a couple ingredients, which you probably have around the house. Of course, I like to amp things up by mixing in and garnishing with fresh dill so it looks like I know what I’m doing. 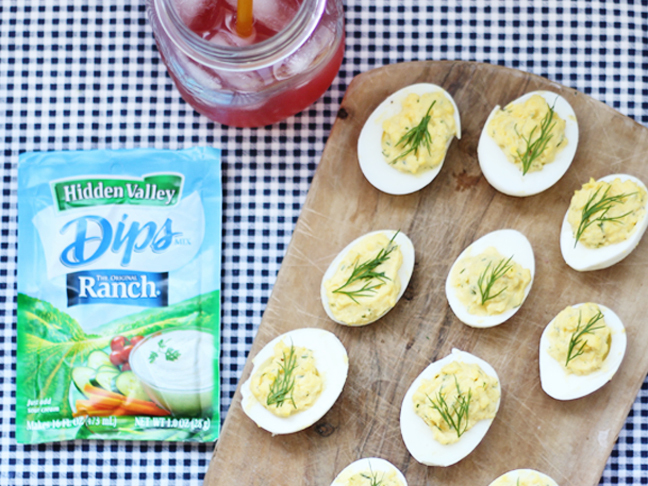 To make sure the party is fully swooning over them, I’ll also add a little Hidden Valley Original Ranch Dips Mix because, duh, ranch makes everything taste better. 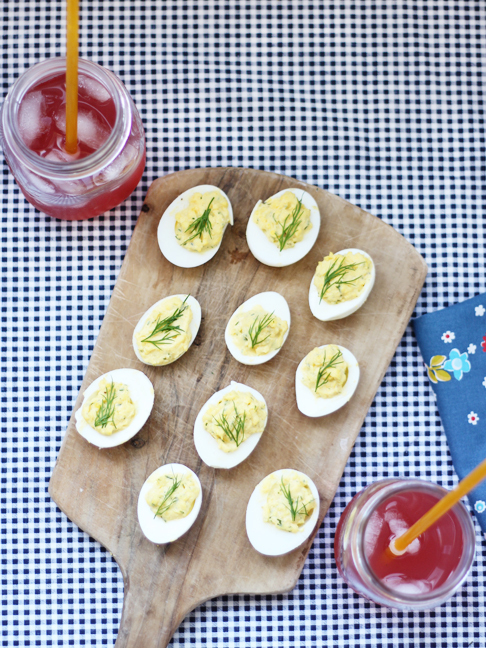 This recipe is our go-to summer potluck staple! 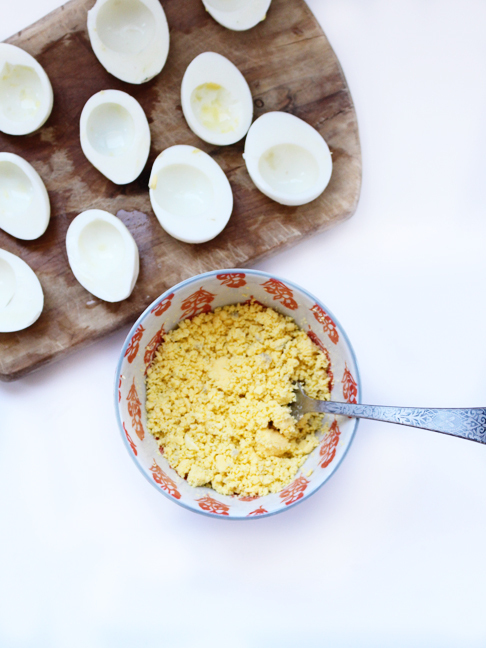 Step 1: Cut hard-boiled eggs in half lengthwise and remove yolks. Mash up yolks with a fork until all the big bits are gone. I also rinsed my egg whites to make them look pretty because, like I said, I like to give the appearance I know what I'm doing. Step 2: Add the mayo, dill, and vinegar to the egg yolks and mix well. 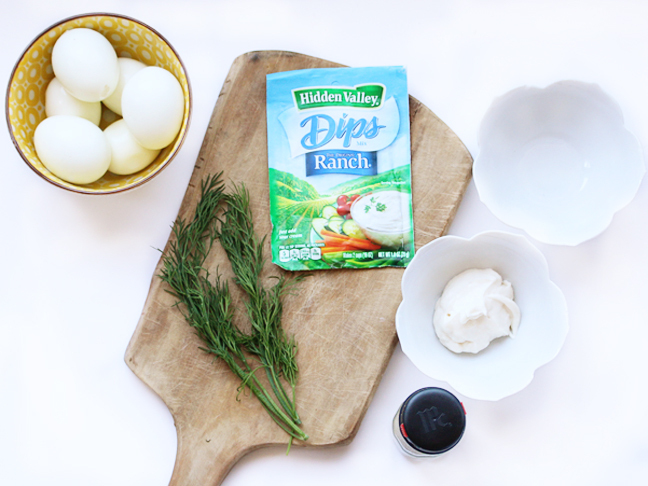 Step 3: Add Hidden Valley® Original Ranch® Dips Mix and pepper to taste. 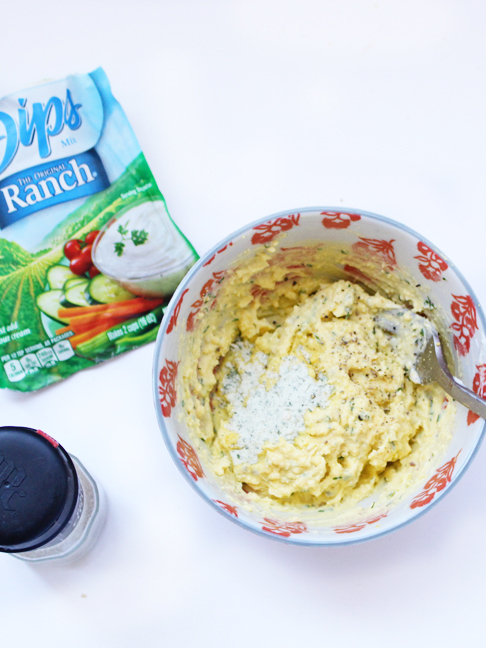 I used about a teaspoon of the Mix for a mellow, ranch flavor, but you could turn it up a notch for a more robust ranch taste. 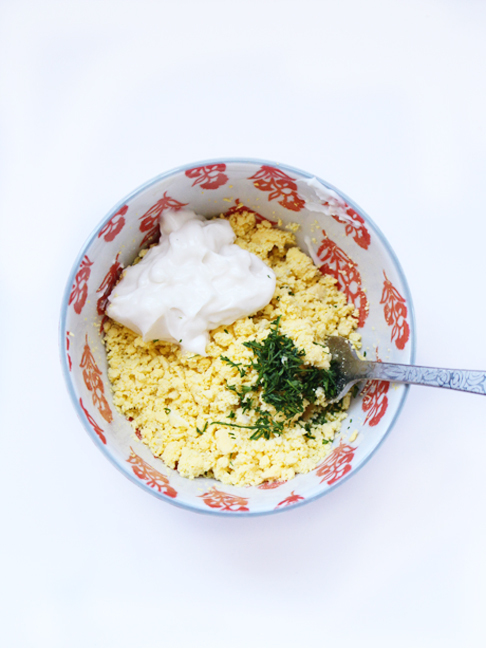 Step 4: Spoon filling back into egg whites and garnish with dill. And, yes, it's best if the majority of the filling ends up back in the eggs and not in your mouth, as tempting as that might be—not that I know anything about that. 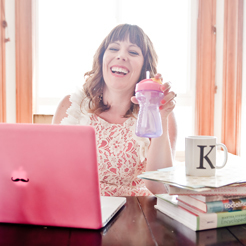 Step 5: Raise a drink to summertime and dishes that require no time at all to make, but help you look like a rock star. Cheers to summer!